Angličtina pro děti. Další z pěkně ilustrovaných rýmovaných příběhů o klukovi Jimovi. A rhyming picture book designed to make children laugh and to instil swimming confidence. 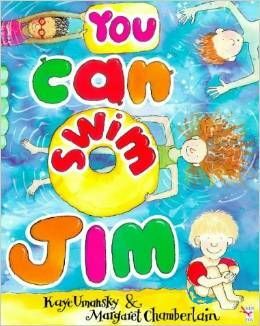 Jim can only stand on the edge of the pool while the others are splashing around, until suddenly he falls in - and finds, to everyone's surprise, that he can swim after all.